Before I get into Falmouth, let me point out that there are two harbors in Falmouth. 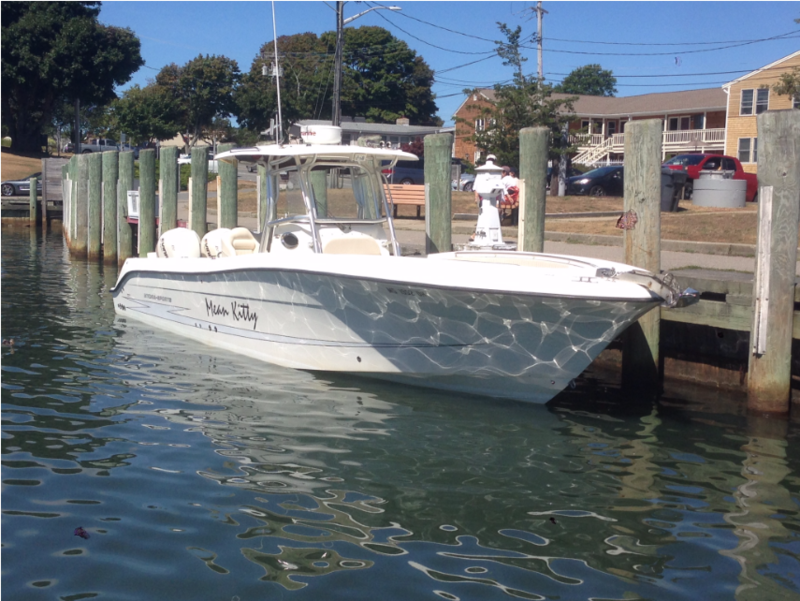 The one that is actually in Buzzards Bay – West Falmouth Harbor doesn’t have shore access. It’s tricky to get into, but an excellent gunkhole for outboards. The Main Harbor in Falmouth is a different story. It could be the busiest harbor near Buzzards Bay with yachts lined up like cord wood on either side. The entrance is guarded by a large jetty on the left of the entrance and smaller on to the right. There is a ferry service and few rather large yachts, so be aware that you might get pushed to the side of the narrow entrance. The mild chaos continues once you enter the main harbor. It actually feels more like a river than a harbor. You may have a large yacht backing out into your way or some guy in a rowboat crossing over. The only Dock and Dine venue I know of is the Town Tie-up at the very end of the harbor. The good news is that it’s free, but the bad news is there isn’t much space and it can’t be reserved. As you reach the end of the harbor, you’ll see a small floating dingy dock near the middle of the landing. To the left of that dock is the Town Tie-up. You’ll see ominous signs about “not tying up without checking with the Harbormaster” and this is certainly a good idea. I can tell you from experience that the last time I was there, the harbormaster wasn’t! I tried hailing on VHF and calling on the phone – nothing. I can also tell you that I have never gone and not been able to tie up. Also, despite the tight quarters, there was plenty of water for Tenacity’s 40″ draft. Much like Kingman Marine, Falmouth’s best days are those when the chop can make a Vineyard trip too treacherous. I’ve eaten at The Flying Bridge and The Boat House which are right near the harbor. Both are okay, but far from memorable. 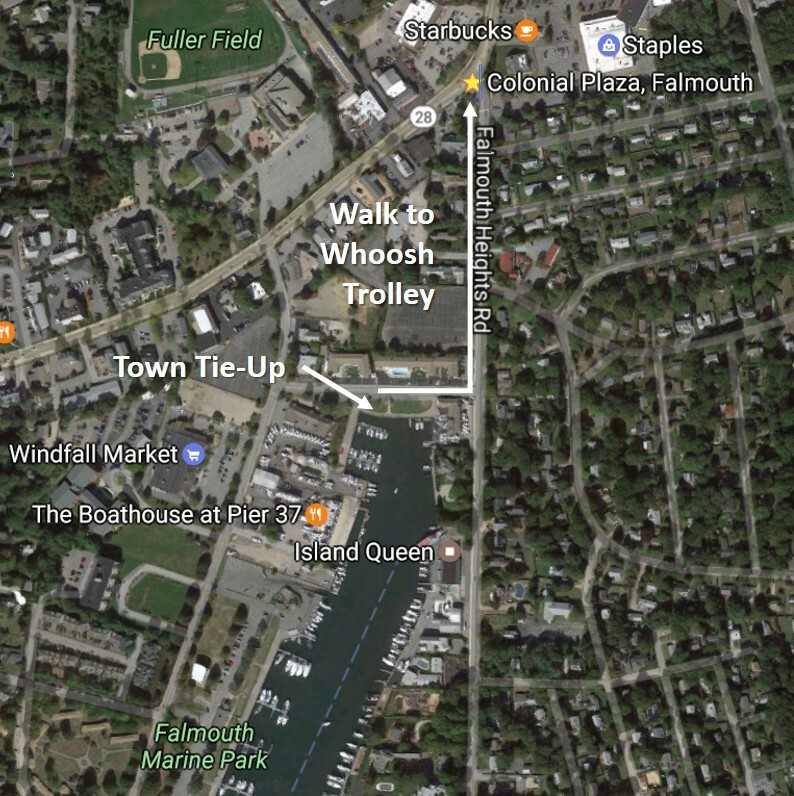 Why waste your time at mediocre harbor restaurants – downtown Falmouth is far more interesting with shops and a wide variety of restaurants. For me, Anejo Mexican Bistro – Falmouth is one of the best Mexican Restaurants anywhere. I have always walked to town, but after a few Margarita’s at Anejo, the walk back can be tough, so the next time I go, I’ll probably try and catch the Whoosh. On the way home back to Buzzards Bay, you can always stop at Hadley’s Harbor or Quisset to wait out the afternoon blow or just enjoy the scene. 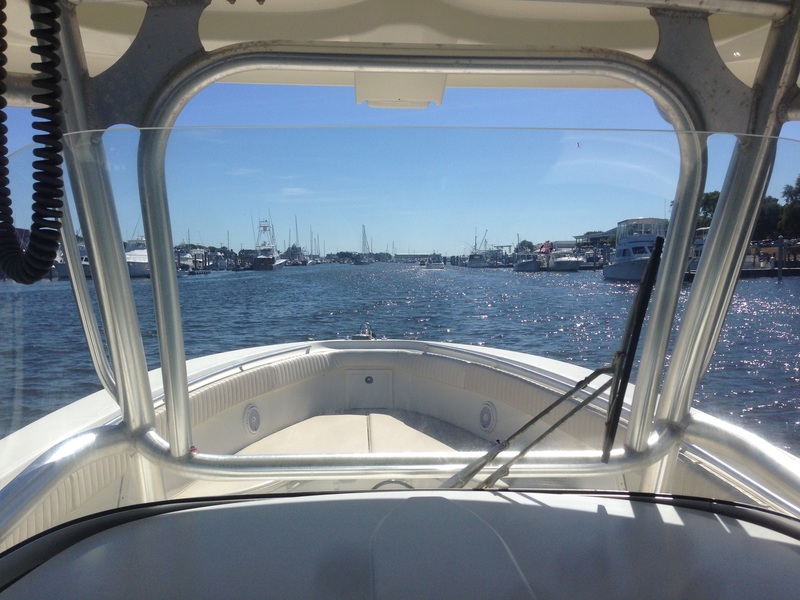 Or, if you don’t draw too much water, you can head into West Falmouth harbor and make it a Falmouth Day!